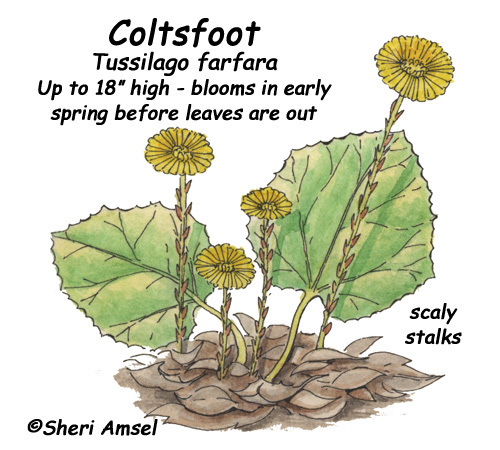 They are found in damp soil, by streams and riverbanks. 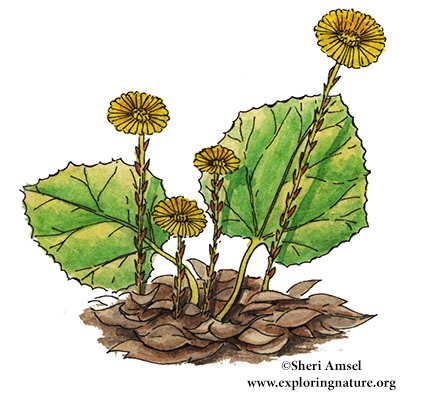 They have yellow, dandelion-like flowers on a scaly stem. They bloom in early spring. The flowers are followed by large (3 - 7 inches wide), heart-shaped, toothed leaves. They bloom April through June.